A visit to the Ruth Palmer Blanke Boxwood Garden virtually transports visitors to another time and place. A visit to the Ruth Palmer Blanke Boxwood Garden virtually transports visitors to another time and place, as the meticulous plantings display the Missouri Botanical Garden’s outstanding collection of boxwood. There are 60 unique varieties of boxwood in the Boxwood Garden, which have the reputation of being difficult to grow in the Midwest. Boxwoods have been valued in gardens for thousands of years, from the “pleasure gardens” of ancient Persia and the landscapes of Greece and Rome, to the formal gardens of Europe. The elegant beauty of boxwood gives shape, structure and evergreen foliage to the garden setting. The Missouri Botanical Garden’s interest in boxwood stems from the work of the late Edgar Anderson, former director of the Garden and a distinguished member of its scientific staff for 40 years. In 1969, Dr. Anderson established a test program at the Garden to identify hardy strains of boxwood collected from Asia and the Balkans. 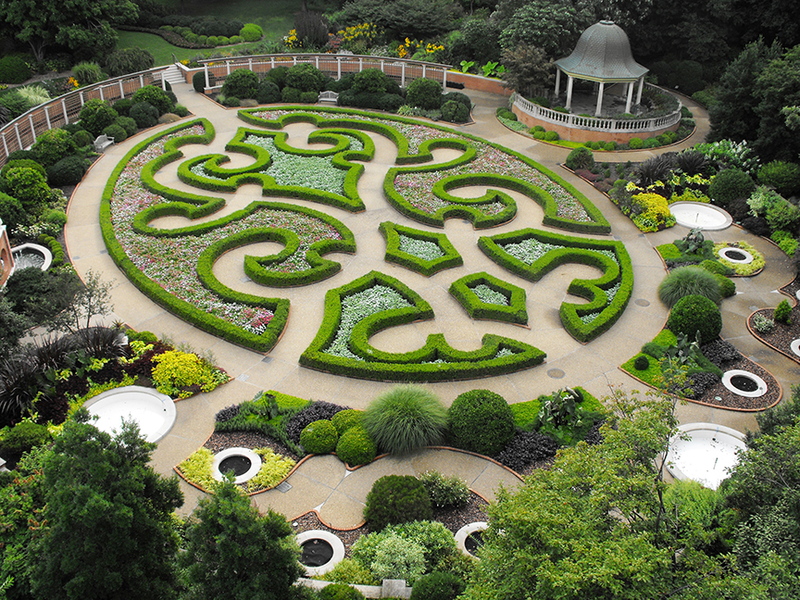 The Edgar Anderson Boxwood Memorial Area, accessible by the steps on the east side of the Garden, showcases the Boxwood that Anderson obtained during his 1934 trip to the Balkans. As visitors follow the path, they arrive at a quiet pavilion resting on a rise and find a quiet place to sit in the shade on a hot summer day. Here they’ll enjoy the view of the beautifully designed boxwood garden, as well as the surrounding grounds of the English Woodland Garden.